Spirituals Revisited has an absolutely incredible selection of music. It has energy, nostalgia and variety in some great old spirituals as well as some new ones. In this recording is presented a wide variety of sounds . . . four and eight part harmonies, solos and duets. Herman & Sonnie Harp are full-time concert and recording artists who share a perspective of living by faith and hope. As Christian musicians, they gladly travel thousands of miles and tirelessly share hundreds of presentations to tell the Gospel story in thought, testimony and song. It is their trust in Jesus Christ and His promises that propels them into the future. By grace, the Harps seek to more fully understand that it is their faith and hope that compels them to create and sacrifice without any guarantees--that one cure for disappointment is to ask God to do what is right for their lives and ministry rather than what they may want! Their prayer is that their presentations will truly bring new insights, fresh beginnings, renewed energies, clearer vision of the possibilities and a new commitment to service. Most importantly, they wish to convey the power of a relationship with Jesus Christ. In addition to more than 270 concert appearances annually, the Harps assist in crusades, campmeetings, appear on gospel Family Reunion Concerts and are heard and seen daily on Christian radio and television throughout North America. They present their music and ministry to multiple denominations throughout North America. Sonnie is a soloist, songwriter, arranger and keyboardist whose music is being widely performed and recorded. Her music is rich in meaning and possesses a moving quality that reflects her love for Jesus Christ. Her compositions are published in a songbook entitled Sonnie's Songs. Herman is a soloist, violinist, harmonicist and guitarist who has been sharing music for 40-plus years. For more than 22 years, he sang with the award-winning gospel group, Ponder, Harp & Jennings. 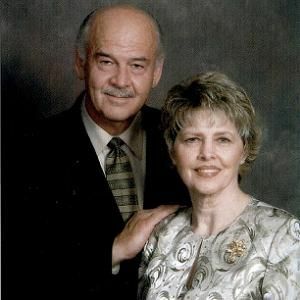 Herman and Sonnie spend their time and energy in writing, creating and furthering Christian music ministries. They assist in promoting other Christian artists and believe in the power of music to change lives. They love to travel, spend time with their children and grandchildren, and to stay in touch with countless friends around the world. Together they love to work in and around the house--growing roses and tending their fruit trees. Sonnie loves decorating her home and especially loves to write, arrange and orchestrate her original music. Herman loves to write and, when time permits, play golf with friends and family.